When journalists talk of music festivals, many concentrate on sun-dappled, dusty trails of some out-of-the-way location, and millennials lolling in the afternoon's blazing heat or teeming rains. Yet, when it came to Saturday's Firefly Music Festival – Dover, Del. 's acres-wide, four-day mega-concert at Dover International Speedway and the Woodlands – with Eminem as its headliner, it was the nighttime that was most stunning, with an enchanted forest lined with glowing disco ball sculptures, tall trees speckled with hanging neon lights, and its crust-punk, hippie-hop crowds. For this multiracial, yet still mostly white crowd, Eminem was a necessary bill topper. Following the eerily aggressive Lil Wayne and flashy Killers, Eminem encompassed bits of both of his Saturday night predecessors. Eminem nestles within the culture-at-large in an interesting position. Currently celebrating 10 years sober (as he told the crowd halfway through his late-night set, which ended 12:45 a.m.), Em is still the last Caucasian rapper that mattered (Macklemore? Meh) to audiences, black and white. 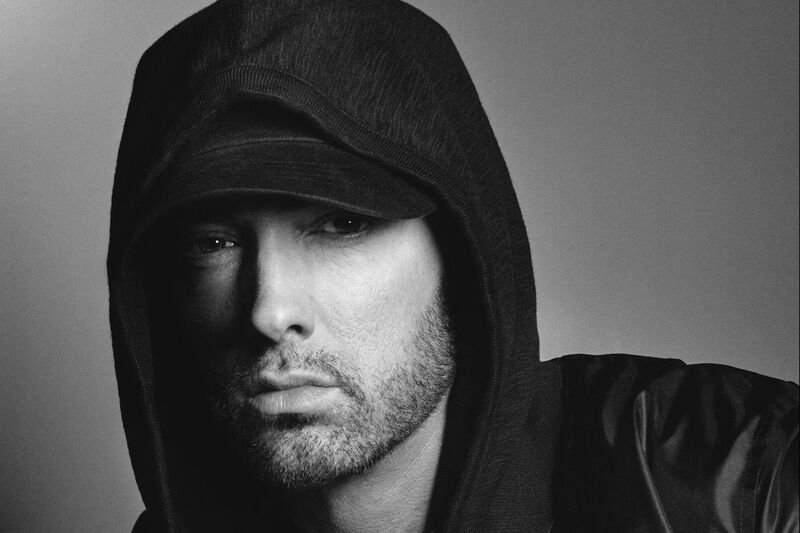 Whether using his goofy MC voice and its silly horror-core stylings, or his ire-filled, violence-driven lyrical stance, Eminem — in the late 1990s and 2000s — was taken to task for his homophobia and misogyny (as were most rappers) while simultaneously called bravely inventive for being bold enough to speak invective in character. Now that he's older, wiser and more "woke," Em is praised for moving forward from such bigoted stances. So when he performed the sonically and lyrically raging "Criminal" on Saturday, ranting about stabbing gay and trans people, it was dunderheaded and dated—a step backward in the name of progress where LGBTQ audiences were concerned. And any hints of misogyny within the context of Eminem's set, in this #MeToo era, were shortsighted. Then again, without those things, this would have been one brief set. And going a step further, no one in the crammed crowd griped about any of the political incorrectness in Em's older material. No one even groused when Eminem brought up living in times of Trump-trouble before heading into "White America," and lines about "women and men who have broke their necks/For the freedom of speech the United States government has sworn to uphold … or so we're told." No one in the audience complained about his use of loud gunshot blasts, the very thing that got him in trouble weeks ago when used at Bonnaroo. Em offered a large-screen warning to the squeamish at the beginning of the show: "If you are easily frightened by loud noises or offended by explicit lyrics, you shouldn't be here." Dressed in a Beastie Boys T-shirt, with a manicured beard and the insistent low baritone voice of hype man Mr. Porter by his side, Eminem offered up a hard, sonically jarring set of his best with lyrics that were as ruminative as they were incendiary. While a cutting "Cinderella Man" smartly addressed his onetime addictions ("'I'm not even supposed to be here right now … Some of us don't get second chance/I ain't blowing this one"), he showed his rapier-fast, hyper rapping skills, accompanied by an Aerosmith sample, during "Sing for the Moment." For all his intent and recollection – sad or mad – Eminem's finest moment as a vocalist and as poignant lyricist came during "Walk on Water," a self-doubting duet with the vastly underrated Skylar Grey, who made the most of her cool, Emi-pairings through an irritated "Stan" and a quietly buggy "Love the Way You Lie." During the slow vibing "Walk on Water," Eminem – in his wettest, most natural voice – worried about the high levels of expectations set on him by his earlier work and his new sobriety. If Saturday's strong set was any indication, Eminem has nothing to worry about.